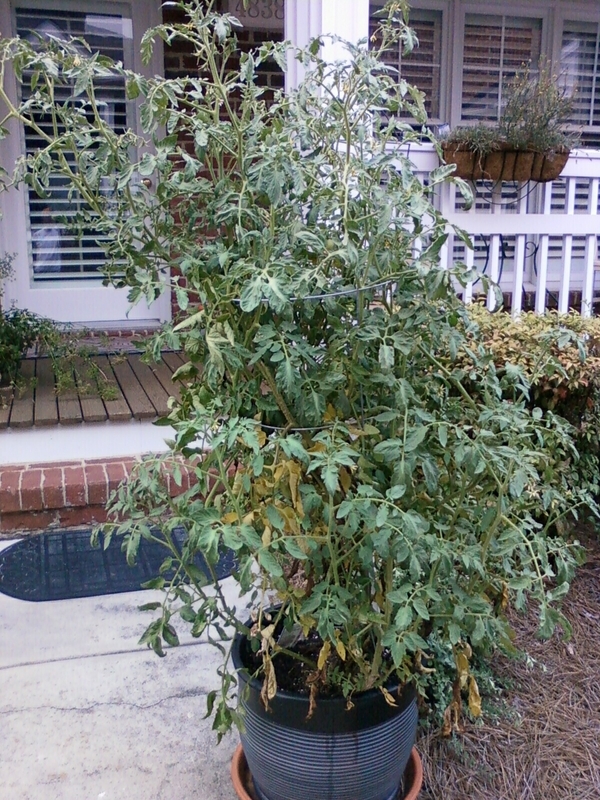 See any tomatoes on this well-tended vine? Neither do I. Perhaps my whining about a paltry tomato crop is deserved. Today is mom’s 80-something birthday. Women don’t like their real age divulged so I’m only too happy to honor that tradition. Mom, your secret is safe with me. These days are much more rugged and trying for her. Her soul mate is gone and she’s in a strange new place. Her long-time friends are 100+ miles away. Her birthday may fall on an unlucky day, but she’s had a seemingly endless string of such days. Friday the 13th? Really? Just to be clear, the birthday letter and the typical Friday note about lousy tomatoes, oppressive heat and hum-drum days are not to be confused. She’ll just get two envelopes a few days apart. Here are those letters. Mom: If the Postal Service ever needed to get a move on to deliver something quickly, this is it. I hope this birthday note arrives on or relatively close to your birthday. This was meant to go out the door yesterday but the day just got away from me. So happy birthday. We stopped counting the years a long time ago so we’ll let that one slide. Suffice to say there has been a lot of great years along the way. I don’t know the quality of the ice cream and cake out in Grand Island, but here’s hoping that it is first rate. I sure wish I could be there to dish up a couple of big scoops for you. Since I’m partial to chocolate chip, that’s what you’d be served. You could do worse than a big cone. Try as I might, there’s no way some store-bought card will ever suffice for you. As we are all beginning to find out, the syrupy messages those cards contain just don’t let us tell the real story, and that story for you is I’m really glad you’re my mom and Ralphie is too. You’ve been a great mom, and there’s no way either of us would be where we are without you (and without dad, too). No doubt there are more years ahead of you in terms of birthdays. Ellen and Reid both have your birthday on their radar screen so don’t be surprised if their notes haven’t already arrived for you. Ellen is a writer, and Reid, well, he’d be the one to send a card. But Happy Birthday, mom. I miss you and love you and wish you all the best. Hey, if they serve dessert every day, and have ice cream to boot, it’s kind of like your birthday every day. Maybe someday soon I’ll be up there to serve the ice cream in person. Mom: You could probably fry an egg on the hoods of the cars in my all-asphalt parking lot today. You could have fried eggs yesterday and the day before that. What an energy saver – just crack two eggs on your car and get ready to eat. It is unbearably hot. One bank sign said 101F. By any standard that’s a scorcher. Good for the tomatoes and corn, they say. I don’t know who ‘they’ are but I’d like to give them a piece of my mind. My tomato plant is easily twice as tall as last year’s anemic plant. But the fruit the vine displays wouldn’t be enough for a BLT on top of a Ritz cracker. The two – count ‘em – two tomatoes that have formed will top out at about the size of a ping pong ball. Cherry tomatoes are bigger than that. None of my plants are really doing very well. The heat has also chewed up some of the greens at golf courses where I liked to play and the courses have been shut down. The grass just can’t tolerate the heat. Okay, enough complaining. Ellen finally landed a second grade teaching job in Minneapolis-St. Paul. She is so happy and relieved. The school district called this past Monday afternoon at 5:00 and the job starts next Monday. After all this time she’s landed a job. The hard part was telling the place where she worked that she was quitting. They really liked her and she liked them but this was part of her dream. I told her to run, not walk, to the phone to tell them ‘yes.’ Good for her. Your guess is as good as mine as to how Reid is doing. He’s up in northern Minnesota right now with some of his buddies. I don’t know what they do up there other than drink beer and paddle around in small boats. Ellen and Tim were going to join them this weekend. I might go fly fishing this weekend up at a place called South Mountain which, oddly, is north and west of town a little bit. It will give us a chance to go hiking and dip our toes in the water. Not sure how hungry the fish will be but that won’t bother me at all. I think they are mostly brown and rainbow trout. My guess is mostly browns because the water will be a tad on the warm side. The Harley is still running pretty good. Have been taking it out a little more and more these past few months, in part to just blow the stink off. I just like the riding and getting on the road. I am reminded of cousin Richard now and then and wish I could talk to him about his Hell’s Angels days. That would’ve been a sight to see. Wish he still had his bikes. He was a biker when there weren’t many bikers. Well, I’m gonna sign off for today. Eat some good food for me because I’m not fixing much that’s edible these days. It’s just too hot to cook.